In a series of interviews during PASS Summit 2017 in Seattle, the week of October 30 through November 3, I caught up with Chris Webb, who is an international BI community thought-leader and product team advisor for Microsoft. 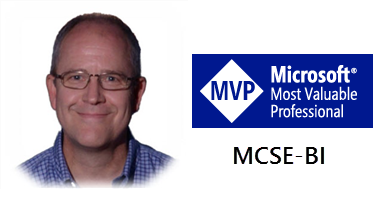 We chatted about his love affair with Power Query, lessons learned from many years of expert Business Intelligence project work and his thoughts about the future of Power Query and other Microsoft tools. Chris had just finished an all day preconference presentation the day before our interview and his experience was fresh in-mind. He has a long history of deep expertise with SQL Server, Analysis Services multidimensional and tabular technologies, MDX and DAX. His focus lately has been teaching, writing and using Power Query in practice. He was so interesting and insightful that I honestly couldn’t edit anything out of the final recording, so I split it into three parts. In the first installment, Chris talks about how he got started with Power Query and why he thought it was worth his investment of time and energy. He hadn’t planned to bet his career on Power Query. He said “this tool was cool! I liked playing with it…” He carried on playing with Power Query until he fell in love with the product and its awesome ability to transform data in ways that weren’t possible before with the same easy and elegance. Maybe the long-term success and pervasive integration of Power Query into more products will be bolstered by the enthusiasm of Chris and others in the community who just love to use it. We began with the question: “Do you ever foresee Power Query being used as an enterprise ETL tool in lieu of something like SSIS?” Chris shares his thoughts about Power Query as a self-service, desktop data transformation tool and its juxtaposition with other with older, more complicated data tools. He says it is “a universal query generator”, capable of performing “query folding” (translating and pushing queries back to the data source engine for each data provider). We discussed how Microsoft is committed to supporting and enhancing Power Query, not only for desktop analysis but to perform tasks partitioning in Analysis Services tabular, with many other possible scenarios. His passion for this tool is so apparent in our discussion. How can you get started with Power Query and where is the best place to go for expert advice? Chris wrote one of the best books on the topic that, in my opinion, is very relevant today. I gave him the bait and he wouldn’t take it when I asked: “can you recommend any good books on Power Query?” In his usual, humble, fashion he tells me how difficult it is to write a good book about a product that changes so much; and goes on to recommend several online learning resources. We conclude with Chris’ advice about how to get started and where to go for best practices, to develop expertise and advanced knowledge. Thank you, Chris, for your time and willingness to share your thoughts and expertise.